Many businesses need gas cards for employee travel. These cards may offer a convenient way to pay for fuel, but they do have significant drawbacks. Prepaid fuel cards often carry fees, and business owners have no way of knowing whether they’re used to purchase items other than fuel when employees stop at gas stations. A better alternative to prepaid gas cards are business debit cards. The business Visa® debit cards offered by Bento for Business can be used for a variety of common company purchases. However, unlike prepaid gas cards, the business owner has a suite of controls to monitor and record their use. The card administrator designates categories— specific stores, products, or supplies— for which the cards provided to the employees may be used. For example, workers who travel a lot can be restricted from purchasing anything other than fuel. Other workers may instead be provided with cards that can only be used to buy office supplies. How does Bento for Business surpass prepaid gas cards? 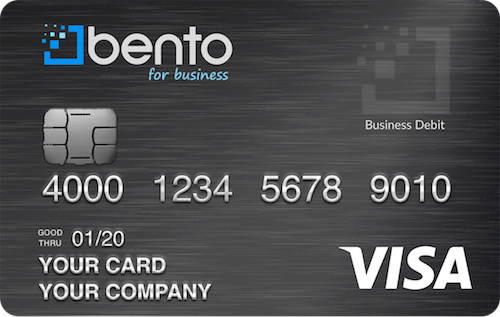 Bento for Business Visa® debit cards can be used to control all necessary company expenses. When one of the cards is designated to be used only for fuel, the employee who has it will not be able to purchase anything other than gas. Unlike a prepaid gas card, the Bento for Business card can be turned off by the business owner with a click or a tap. With this level of control, a terminated employee leaving with one of the prepaid debit cards ceases to be a problem. Why should I trust Bento for Business over traditional prepaid fuel cards? Bento for Business significantly diminishes the possibility of employees spending company money on private expenditures unlike prepaid gas cards. These business debit cards do not require credit checks and can export data to QuickBooks— easily tracking your business expenses and maintaining better control of your spending. The cards come with the security afforded by Visa® and banks. Unlike prepaid gas cards, transactions that are not authorized by you will be declined. Funds held within Bento are FDIC insured to at least $250,000 through The Bancorp Bank; Member FDIC. 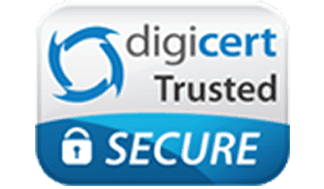 We use highly secure SSL encryption for your protection. You can easily reload, terminate, or re-activate the cards from anywhere, at any time, with the click of a button in Bento’s digital interface. Small businesses can get cards for up to 10 employees for as little as $29 per month, making them a truly affordable service for your company. Unlike prepaid gas cards, the real-time interactive dashboard will also allow you to see how the cards are being used at any time so that you can complete live tracking of your business expenditures. Bento for Business provides an excellent way to easily prevent internal fraud and employee theft. Getting started can take as little as five minutes, and Bento for Business offers a 60-day, risk-free trial. Get started on your free trial by completing our lead form or by calling our friendly support staff at 866.220.8455! For more information on gas cards and fuel cards visit our gas hub or our business debit card hub.